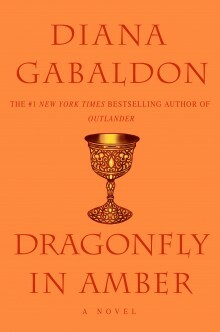 I have another book review for you. One of my eBook programmes is having a Share To Care campaign where simply sharing the message via Facebook &/or Twitter will garner books for the underprivileged. One of my earliest memories is of reading Little House In the Big Woods by Laura Ingalls Wilder by myself. I couldn’t have been more than 6 or 7. It also happens to be one of my more precious memories because reading is one of the things I shared with my Mom who passed in 2009. I thank her every day for my love the written word. As you can probably tell I love books and now that I’ve got an eReader I can take even more of them absolutely everywhere with me so I’m never without something to do while waiting in line. I want to share my love of books with as many children as possible which is why I’m sending this out; when they reach 1000 shares between Facebook and Twitter they’ll give new books to FirstBook.org for 100 needy children. I wonder what would happen if they received even more than that? Is this like … a thing now? | My Fictional Musings. I don’t mind GoFundMe for things like funeral/medical expenses (RIP EIM) or for physio, etc. following a car accident or something but really? Someone wants to be funded so they can go to a con? I don’t know whether I’m offended or just in the wrong line of work! 15 Mysterious Facts About ‘The Hardy Boys’ | Mental Floss. Interesting facts about The Hardy Boys books. I loved Hardy Boys, Nancy Drew, Bobbsey Twins and others when I was growing up. I didn’t realized they were still being written. I have a new book review for you. This is YOUR chance to have your voice heard!!!! | Kittyinaz. Vote for which of Kittyinaz’s stories you want her to work on. Thought You might like to know that one of my fav YA authors is putting some stories on Kindle Unlimited. So…most of my books are not in Kindle Unlimited. I like selling on ibooks and Nook far too much to make the Xoe series exclusive to Amazon. That being said, I felt a little left out of the whole Kindle Unlimited revolution, so I’m revamping and releasing my Vaettir Dark Fantasy Romance Series and releasing installments into KU. The first installment is a prequel novella (18K words) titled “Truth or Death”. For those of you without KU, it’s only 99 cents, so it’s a win/win, right? RIGHT? The second installment, “Blind Man’s Bluff” includes both part 2 and part 3 (28K words), and is either $2.99 or free with KU. The third, “Collide and Seek” (30K), will be showing up on Amazon within the next few hours for $2.99 or free as well. What Are You Reading is something started by Heather; I occasionally include it here. 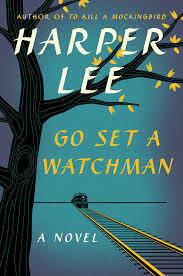 I’m reading Go Set A Watchman by Harper Lee, the sequel to her much acclaimed To Kill A Mockingbird. I’ll write a review on it in a couple of days but I gotta tell ya, I’m not overly impressed.